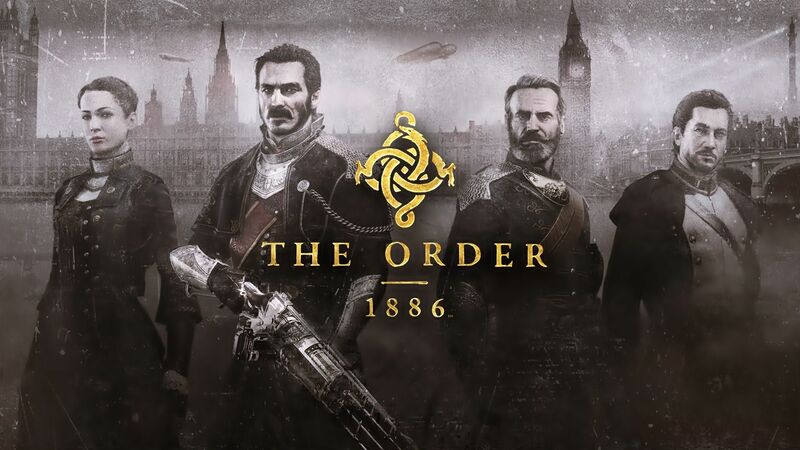 The Order: 1886 is coming out next month on February 20th but what’s really known about this action game? Aside from being a PlayStation 4 exclusive title developed by Ready At Dawn, The Order promises to revolutionize the next-gen visuals in video games. But what about features, plot details, skills and so on? Here’s a list of 10 things that will be included in The Order: 1886. The Order will count with two main enemy factions: the Rebels, an organized group of outraged citizens who oppose The Order’s repression and tyranny, and the Half-breeds, werewolf hybrid creatures who possess special abilities, such as increased speed and strength. The two factions will unite forces to ensure The Order’s downfall and the consequent ascension of a new era. It’s known that the hybrid race will present a much higher difficulty in the battlefield due to their resilience, regeneration and supernatural powers. The storyline takes place is an alternative recreated version of London, featuring familiar monuments such as the Big Ben, the Palace of the Westminster and the Crystal Palace. Even though the timelines are similar, the environments are quite different due to technological progress. The scientific advancements are obvious during the entire game with the introduction of realistic Victorian objects which were further mainly developed into revolutionary weaponry and transportation. Most of the weapons in The Order: 1886 might seem unrealistic or even thematic (steampunk). But that’s not accurate, the developer team has explained that most if not all the weapons in game were recreated based on real inventions at the time. Standard guns were recreated based on real models, however the advanced and special power weapons were recreated based on technological theories and models discovered at the time from fields such as robotics, mechanics and electronics. Based on what Sony has been publishing, it’s known that The Order: 1886 will feature an extensive and rich plot with many characters. However, there will be four main characters in which one of them is the protagonist, Grayson/Sir Galahad. The other three characters will be Grayson’s friends and party companions during his journey – Sir Perceval/Sebastien Malory, Grayson’s mentor and long-time friend; Lady Igraine/Isabeau D’Ardyll, a possible love interest; Marquis de Lafayette, Malory’s apprentice. There will be a certain degree of environmental interaction in The Order: 1886, inclusively special actions in close contact with certain objects or enemies. For example, players can push and assassinate close enemy targets and they can climb all sort of walls. Rope slide, long jumps and slide over medium objects are three known movements as well. As anticipated, all the interaction moves have been motion captured to reassure the developers’ high standards of realism and immersion. Two of the most important skills in the battlefield revolve around Blackwater, a miraculous liquid with regeneration powers and beneficial side effects. To regenerate health inside or outside of combat, players can consume Blackwater. Additionally, they will be granted special side effect powers for a limited time, they’ll be able to slow down time, increasing aiming precision and movement speed. Probably one of the most unique features of The Order: 1886 is the manual dispositive unlocking, which requires players’ skills and patience to crack locks. Although this feature is not entirely distinctive, since it can be found in other video games, like for example the Thief series, it’s still something not so common to be found making the gameplay a bit more interesting and inspiring. It’s also known that players will be able to disrupt and crack other electronic and mechanical objects. One of the main attributes of The Order: 1886 is its visuals capabilities. Based on true next-gen technology, this game is a pioneer in exploring the PlayStation 4 full potential for displaying impressive and realistic graphics. Using the RAD Engine 4.0, The Order promises a new level of image detail, motion and quality. Despite this seemingly heavy performance, Ready At Dawn has confirmed that the game will run smoothly at around 30 FPS. The Order: 1886 freshly released story trailer has unveiled most of the upcoming narrative’s drama involving tons of conspiracy, intrigue and conflict. Apparently, the whole story will explore the fragility of The Order, showing how vulnerable and exposed the organization is to both outsiders and its own members. Among personal revenge quests, predictable betrayals and complex schemes, The Order: 1886 seems to bring it all. Ready At Dawn explained that the whole idea was to reproduce realism as good as the current technology allows. And in this case, every detail counts. The developer team confirmed that every single motion was captured and for that they’ve used real actors from diverse areas to capture all the necessary movements, special moves, expressions and dialogue. All in the name of perfection and of course, realism.